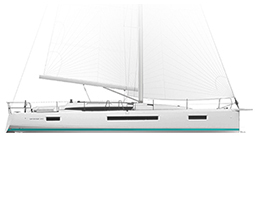 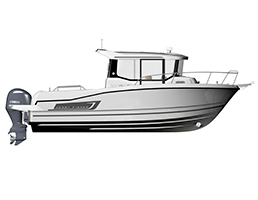 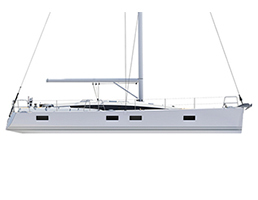 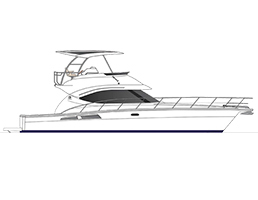 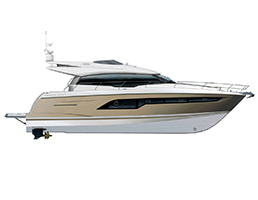 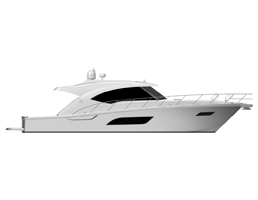 The Cap Camarat Day Cruiser line is versatile, with long lines and protective cockpits, allowing for all types of marine activities – and even coastal cruising – with family and friends. 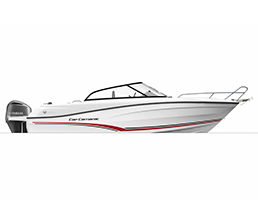 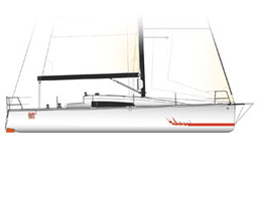 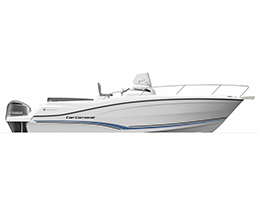 Faithful to the DC line, the Cap Camarat 7.5DC SERIE2 features extended lines and a wraparound windscreen, while offering an entirely redesigned cockpit. 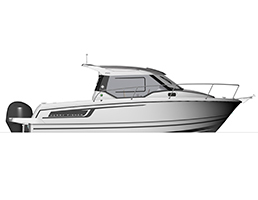 The generous U-shaped cockpit saloon, which is modular and secured by a gate, enables ease of movement about the boat and to the wide swim platforms, for easy access to the water. 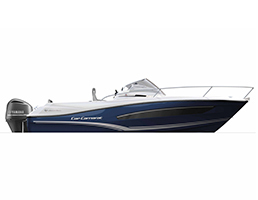 The aft bench seat features a reversible seat back, enabling an alternate orientation toward the aft for swimming and a sundeck on the starboard swim platform. 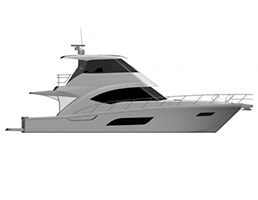 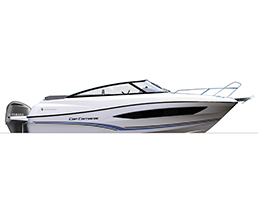 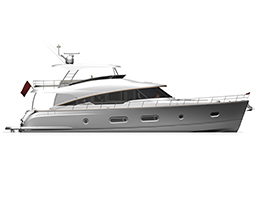 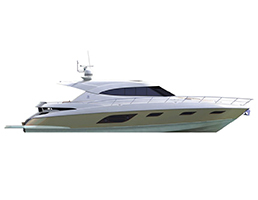 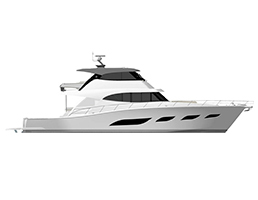 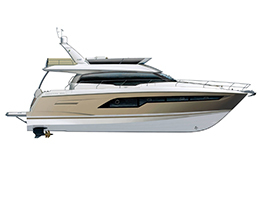 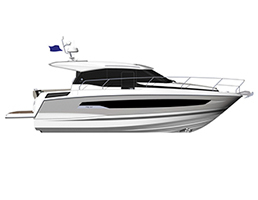 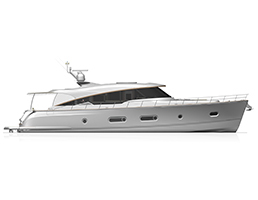 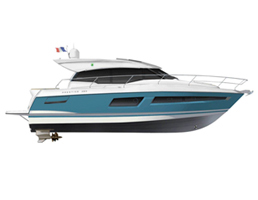 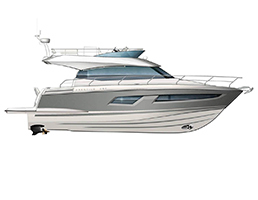 This new model is not short on cruising comforts: the interior is voluminous and bathed in light, with wide windows in the deck and hull. 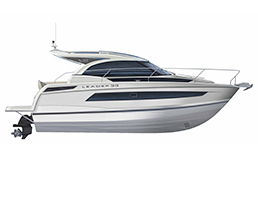 It offers a generously sized double berth with a view of the sea, a nice storage area, and a separate head compartment. 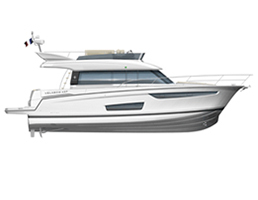 Cruising is safe and comfortable, with a copilot bench seat facing the sea and a perfectly integrated bimini or cabriolet top, all with the famous hull designed by Michael Peters for the 7.5 CC/WA/BR SERIE2.